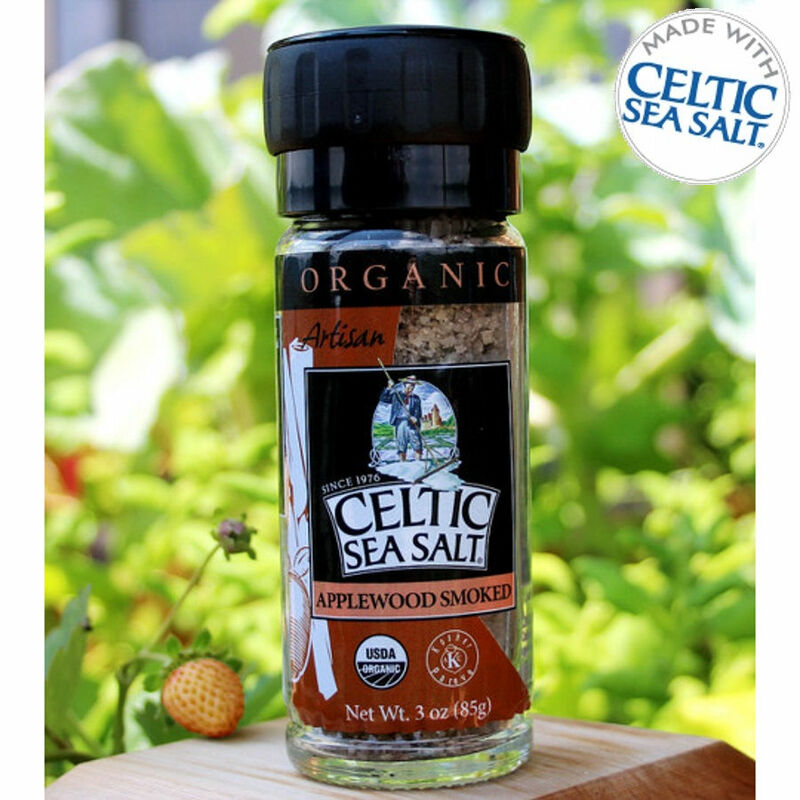 Click here to learn about the benefits of using unrefined Celtic Sea Salt. Click Here to Save on Multi-Pound Orders Including Shipping Cost within US & International. Authorized Distributor for Genuine Celtic Sea Salt ® We also carry Kyocera Ceramic Grinders and Graters. and they’re all 10% off! PLEASE READ BEFORE YOU ORDER: About Shipping: Salt and grinders cannot be shipped through Media Mail or Library Rate, even though you may be shown one of these options. Choose another option if it shows up. We can ship from one to five pounds salt pr two grinders with the US for only $7.50. If you are charged more, we will credit you. If you charged less, we will ask for the difference. Many people who use Celtic Sea Salt are concerned that they are not getting enough Iodine in their diet, and natural, unprocessed sea salt contains only trace amounts of iodine, as it’s found in the ocean. This delicious new sea salt and seaweed blend is the answer to that concern. Just 1/4 teaspoon of this Seaweed Seasoning will give you 250% of the Recommended Daily Allowance. It’s a blend of Fine-Ground Celtic Sea Salt, Organic Dulse, Shiso, Organic Onion, Organic Kelp, Wild Crafted Wakame, Wild Crafted Kombu, Organic Garlic, and Organic Lemon Peel. $ 2.75 Add to Cart Order 6 and Get 10% Off! one pound bag $4.95 Add to Cart Order 6 and Get 10% Off! 5 pound bag $22.00 Add to Cart Order 6 and Get 10% Off! This is the highest grade! It has a more delicate taste and structure. Save on Shipping with Multi-pound Orders by Clicking Here!